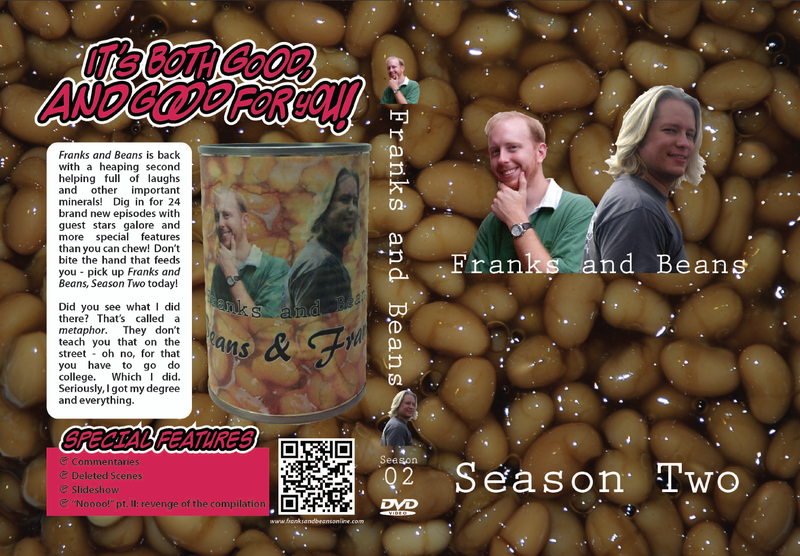 If you watch Franks and Beans, you are distinguished by two factors: first, you are our best friends. Second, you’re part of a rare group. 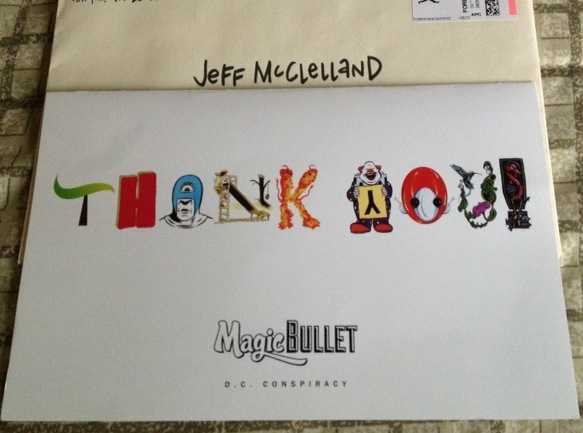 We’ve been doing a little bit to try and change that lately (the rarity part…not the other one. You will always be our best friends. FOREVER!) by trying to get the word out in places other than on our other blogs. 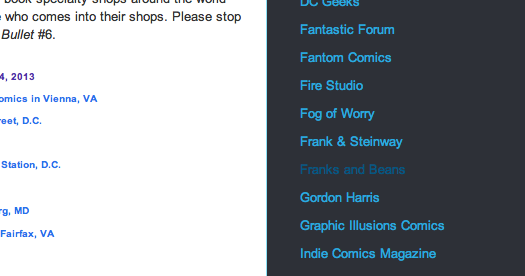 Perhaps you, crafty consumer, have seen some of these mentions in the wild over the past few weeks. Hooray! Who would have thought it was possible? But here we are. 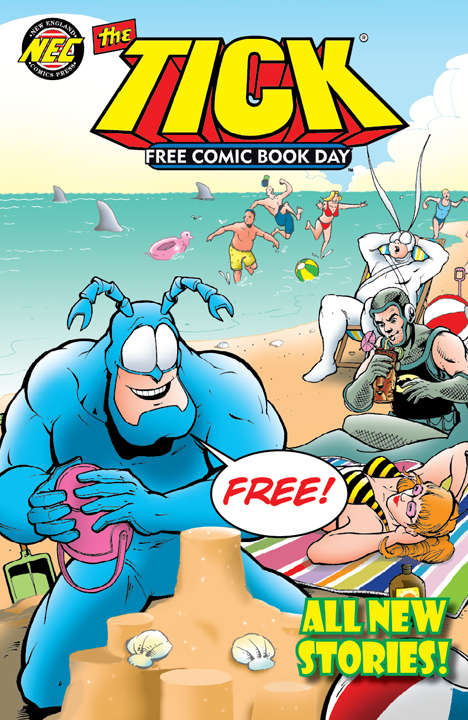 This particular comic was the Free Comic Book Day issue, so there were literally tens of thousands of these out and about, to my delight. Hopefully enough people read the text page to get a least a few new viewers. Double hooray! This reference requires just a bit more diligence on the part of the reader as someone would actually have to go to Google and painstakingly search for this website, but hey, there’s always hope. 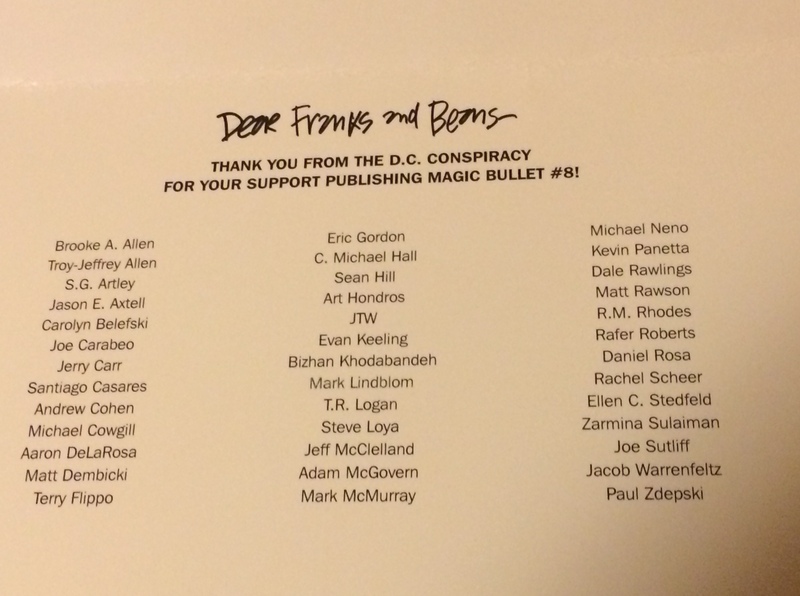 This in itself is cool, but opening it up we find that someone actually had to write out the phrase “Dear Franks and Beans”. Someone took the time to do this! That’s funny. As you can see, we’re on our way to being really super popular. Once that happens, you can act all indignant and tell everyone that you knew us before we were a household name. I’m pretty sure that this will happen. Yes. 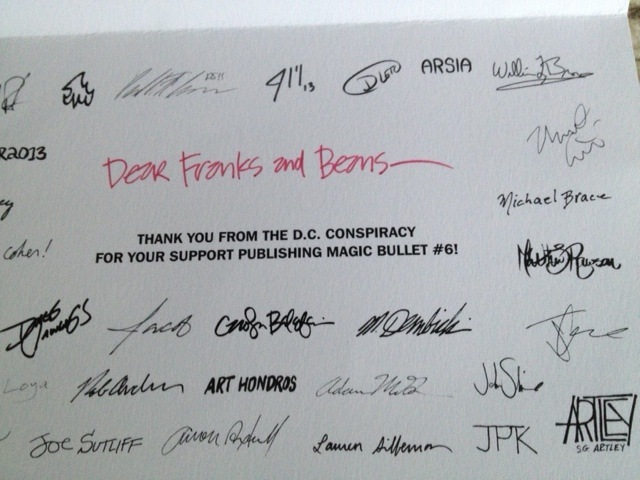 The Franks and Beans media push is go! 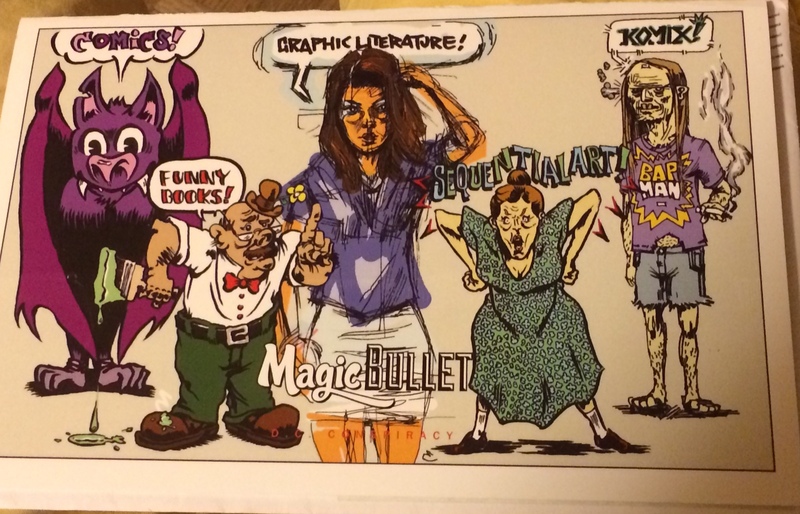 We’ve got an ad in the recently printed, recently released and recently mailed-to-me sixth issue of The Magic Bullet, a Washington, DC-based large format comic newspaper. 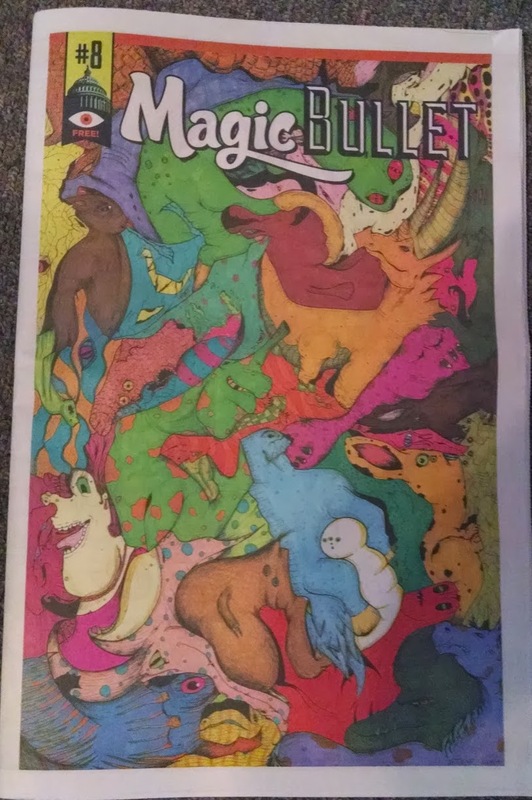 The Magic Bullet is a semi-annual publication that is given away absolutely free to thousands of eager readers, and also perhaps to crazy people who want to make hats out of it. Here’s the cover! And then, you know, things just kind of came together. You also might be asking if this ad buy has had any effect on the site’s traffic. Well, not that it’s any of your business, and it’s kind of rude for you to inquire into such structurally sensitive matters, but as a matter of fact, there has been a slight bump in the numbers in the last few weeks. This might be a result of the ad, or it might just means that Franks and Beans is slowly working its way into the zeitgeist and the ad was completely unnecessary. But there it is, for all to see. 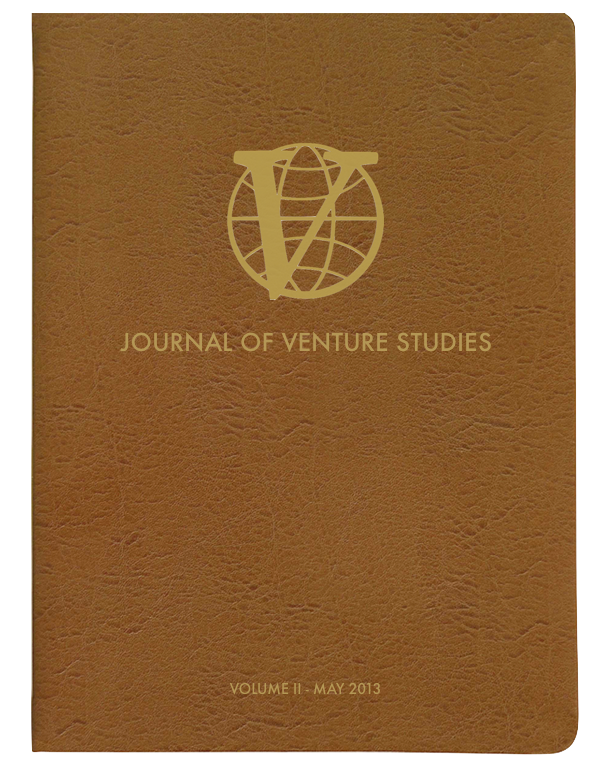 It’s not the only mention that F&B is getting in a publication, as it turns out. I’d tell you about that now, but I can totally just make a brand new post about that in a couple days and feel good about updating the site more than once a damn month. And what fun that will be! 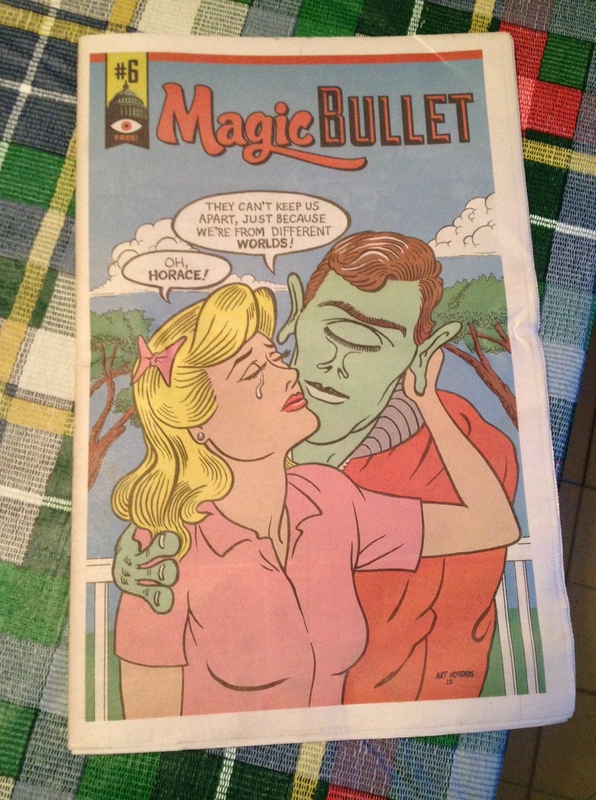 Oh, and the Magic Bullet website has a nice outgoing link to this very page. Hooray! …yes, I clicked my own link. But I can confirm that the link does work! Take that for what it’s worth. 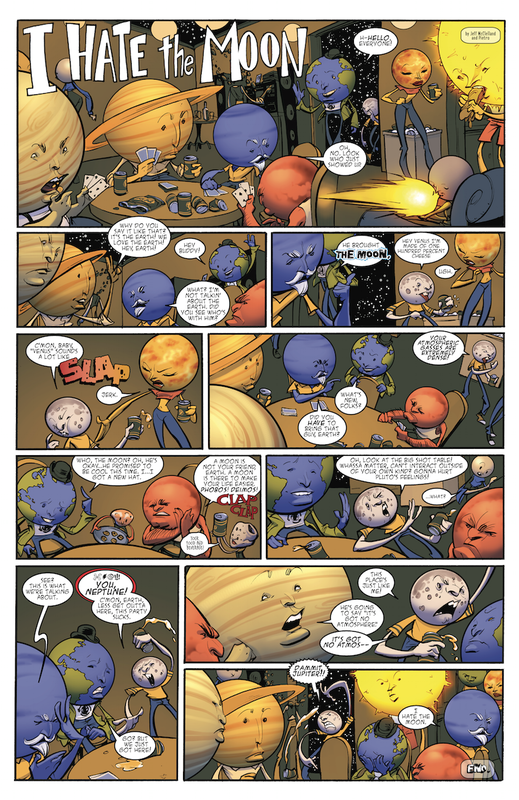 Have I ever mentioned that I sometimes write comic books? Even in passing? Ever? Probably not, as I rarely self aggrandize or post meaningless links to other projects that aren’t innately tied to Franks and Beans. I’m much too classy for that. In any case, I do write Teddy and the Yeti, a comic with great intrinsic value that will perhaps one day spawn a cartoon series and various merchandizing opportunities, and I take every chance I get to advertise for my other great love (besides Funyuns), Franks and Beans, and I thought that it would be at least a little bit interesting if I posted the various F&B ads that have taken up residence in Teddy and the Yeti comics throughout its publication history. 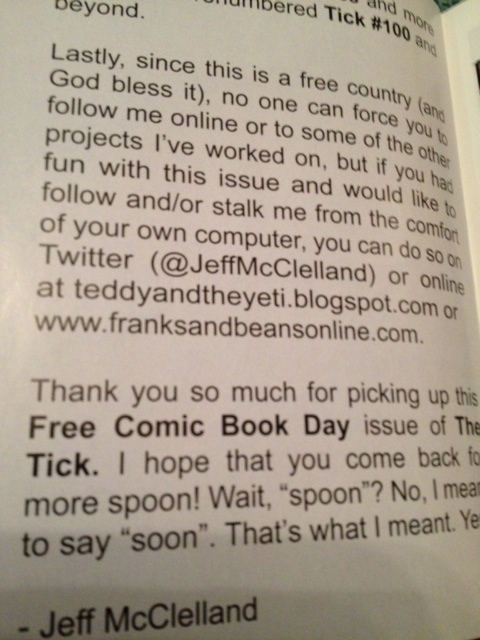 At the top of the post, you’ll see the very first Franks and Beans ad, appearing in the pages of Teddy and the Yeti #1, and perhaps you’ll notice how quaint and simple it is. This is because everything must start somewhere, and also because I was still learning how to use Illustrator at this point (not that I’ve mastered it in the time that followed). Still, we did get the slogan that adorns this website, a bastardization of the Kix cereal slogan. It replaced our previous slogan, “Better than anything YOU could come up with”, which I’m sure will one day make a comeback, as all things trite and spiteful do. 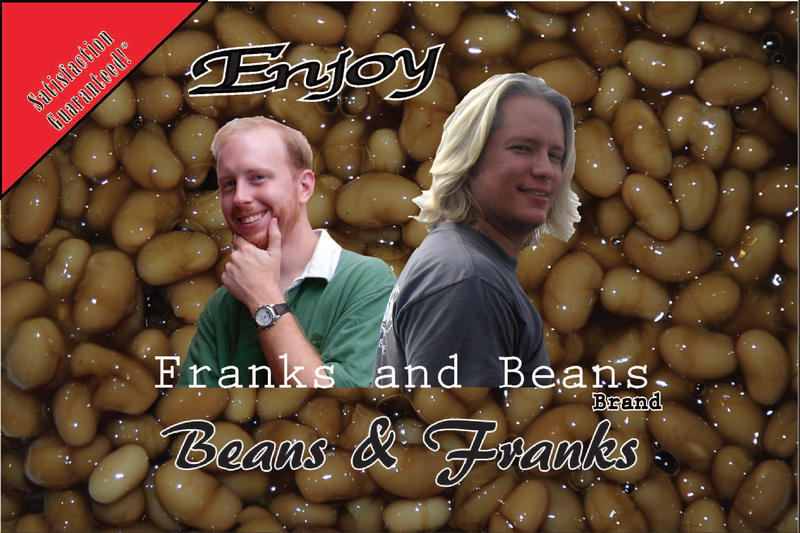 Next up is a familiar image, as a colorized version of it serves as the background of the official Franks and Beans YouTube page. The ad showed up in a black and white version of Teddy and the Yeti #2. This photoshoot was a fruitful one, as we got two ads and a background for our business cards this day. 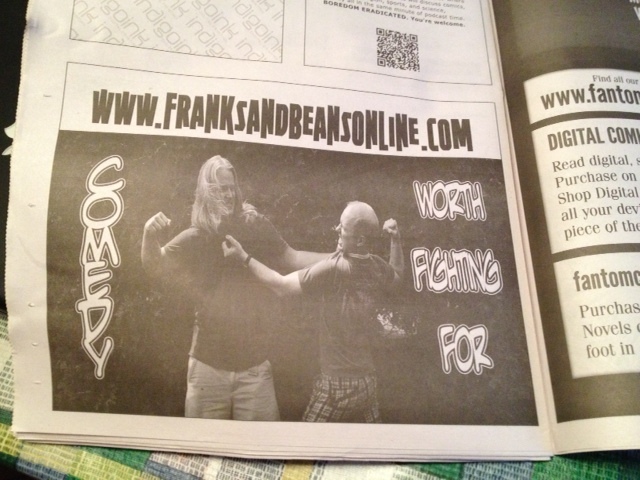 Born from this ad was probably our best slogan ever, “comedy worth fighting for”, which also finds itself on the YouTube page. I should/will put this day’s photoshoot online at some point. There were some good shots taken this day by friend of the show Mitch Mitchell, who just so happens to have a really nice DSLR camera. And we take advantage of that whenever we can. I’m fairly sure we stole the background image from this ad from Google (take that, Internet! 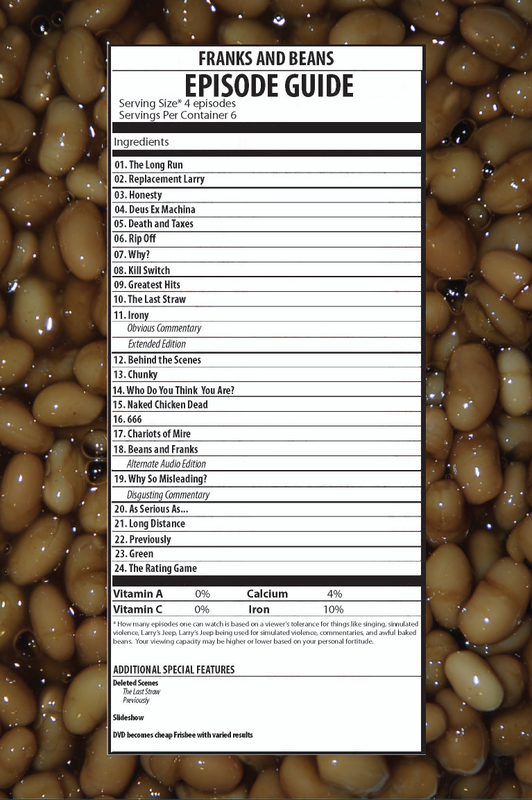 ), before we realized that we could just take our own damn picture of baked beans. 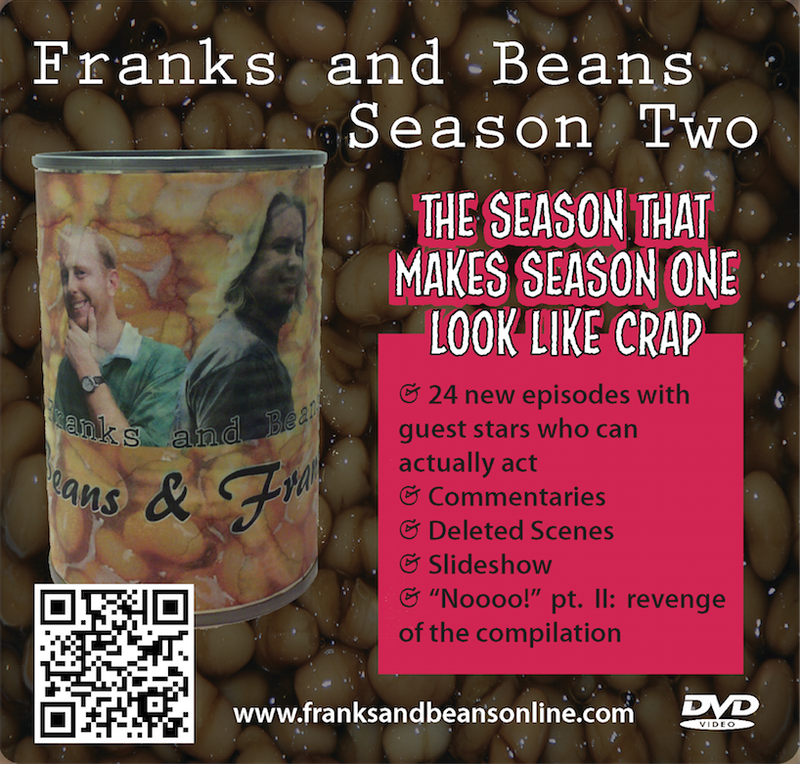 The ad itself refers to the “Franks and Beans Beans and Franks” episode at the end of season two, and we keep the label facade up with our own mock nutrition facts. This ad appeared in Teddy and the Yeti #3. Space was tight in the tiny Teddy and the Yeti’s Back! 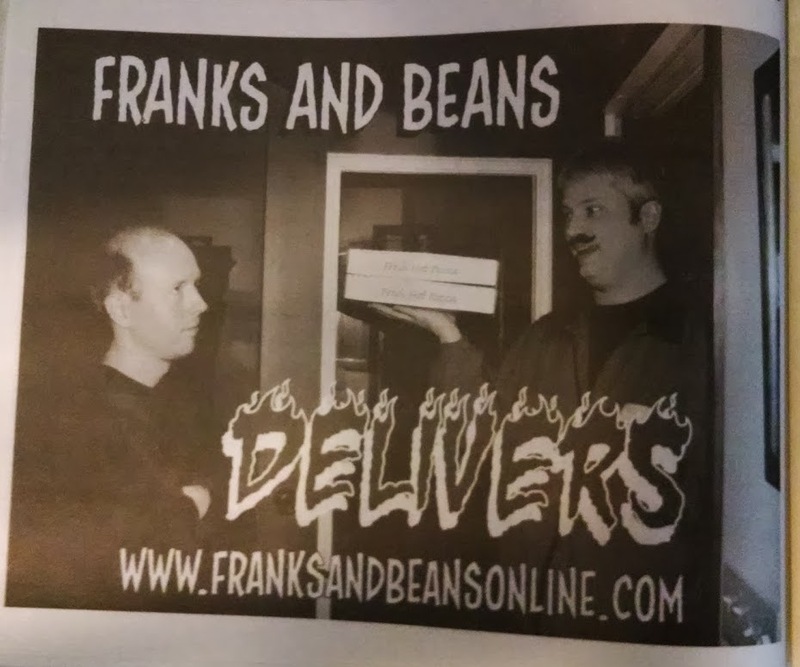 promo issue, so the Franks and Beans ad had a minimum of space to work with. The end result, though, might just be our best ad yet, in which both Larry and I are perhaps about to have the life crushed out of us, which is always good for a laugh (a literal side-splitter). This was from the same photoshoot that begat the “comedy worth fighting for” ad. I particularly enjoy seeing the very top of my Thing shirt as well as my apparently stroked-out face. 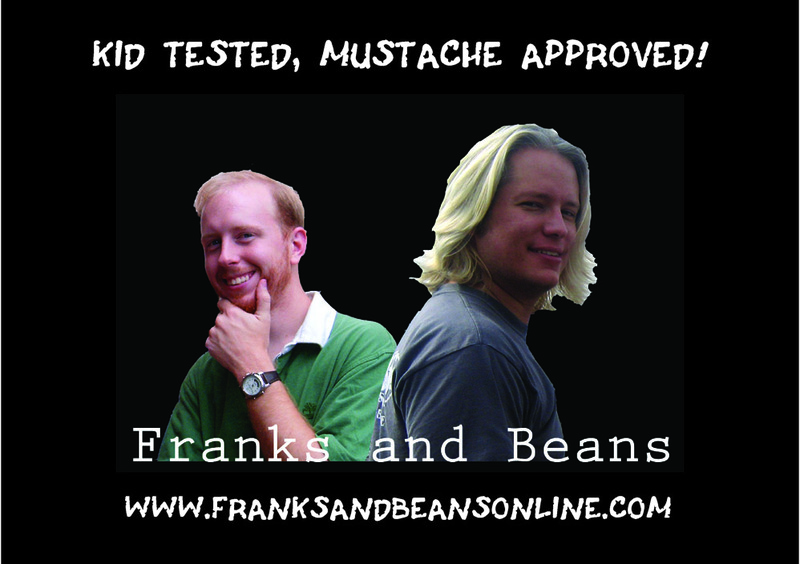 Lastly, we have the newest Franks and Beans ad, straight from the inside back cover of Teddy and the Yeti #4. This image comes from the still promotional photo for the “Double Delivery” episode and features obvious worldplay and also mustaches. When people see these ads placed in my comics, I’ll bet that they nearly kill themselves in a desperate attempt to locate a computer and access this very website. Who knows, maybe putting these ads online for all to see will draw the masses to this site, where they will laugh and laugh their lives away. I’m about 85% sure that this will happen. 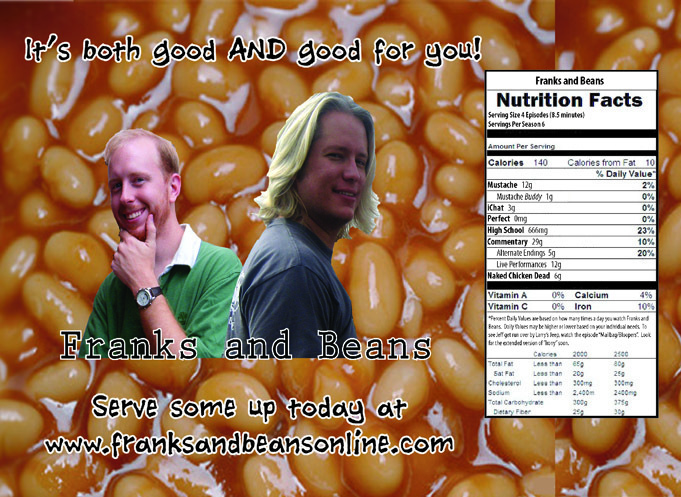 So there we have it – Franks and Beans comic book ads. So why don’t I just use the same one all the time? Why make new ones for each appearance? I do it for you, loyal readers. I do it for you. And also me. Perhaps the next one will feature one of my cats. Only time will tell.